Stop everything and look at this. Hello beautiful. This is the new Urban Decay make up palette... which is a bit of a step away from Naked, the neutral collection that they are super famous for. It is BRIGHT. 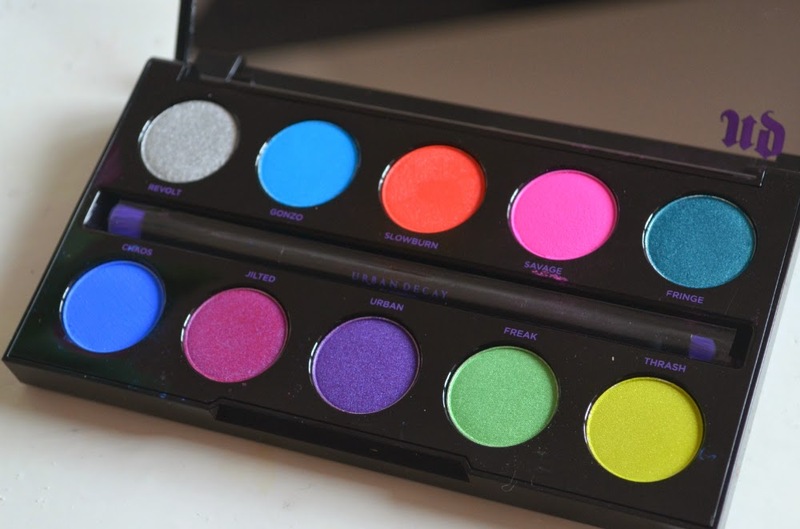 Eight of the shades are brand new (Revolt & Chaos are repeated from other sets), and they've used pressed pigments instead of traditional eyeshadow formulas to create heavily saturated bright colours. Now, I don't really know the difference between a pressed pigment and a traditional eyeshadow, but I do know that it is super annoying when you see makeup that is bright and beautiful in its packaging, but chalky and pale when applied. So here's how they look on! They were pretty smooth to apply, and the colour was actually just as bright as it looked in the case (although I should say that I used a couple of strokes for each shade - these could be a little more subtle if you only used a bit and blended it in). I am a sucker for bright colours, so a couple of these (Gonzo, Slowburn and Savage) really stood out to me. Fringe and Urban had really nice metallic tones throughout, and Revolt is a really wearable silver shimmer. I doubt I'd wear Freak or Thrash on their own, but I like the idea of using a pale gold eyeshadow on my top lid, and using either of these colours to line the lower lid. 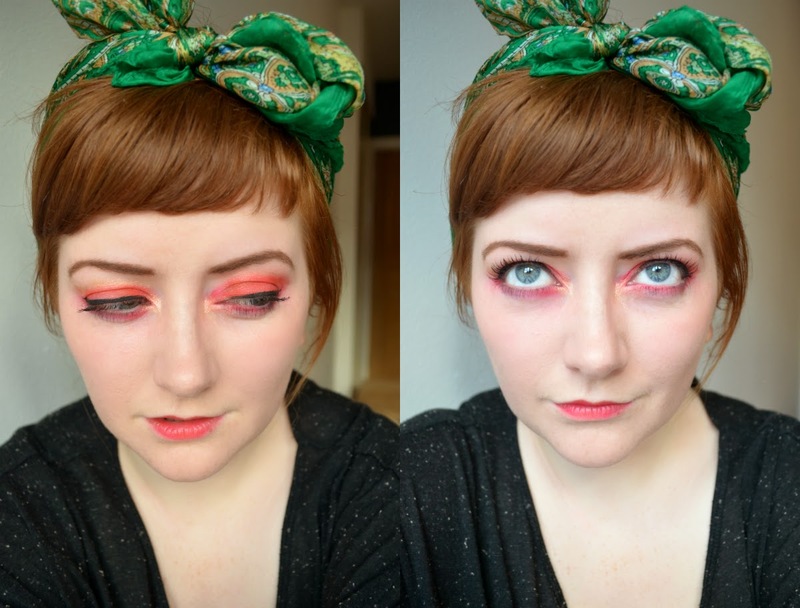 I had a play about with a couple of my favourite colours (Slowburn and Savage) to make a corally-pink smoky eye, with a wee bit of gold (Maybelline Colour Tattoo) in the corner of the eye and under the brow. 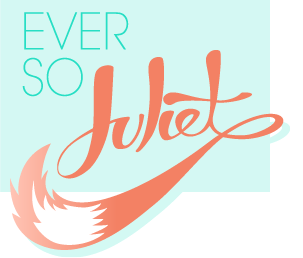 At first I wasn't sure how wearable this would be, but I actually really love it! It's not a Sunday brunch look, but I'd definitely wear this look to the pub, or on a sunny day. I also applied Slowburn over a clear lipgloss, and I'm impressed at how well it works as a lip colour too. 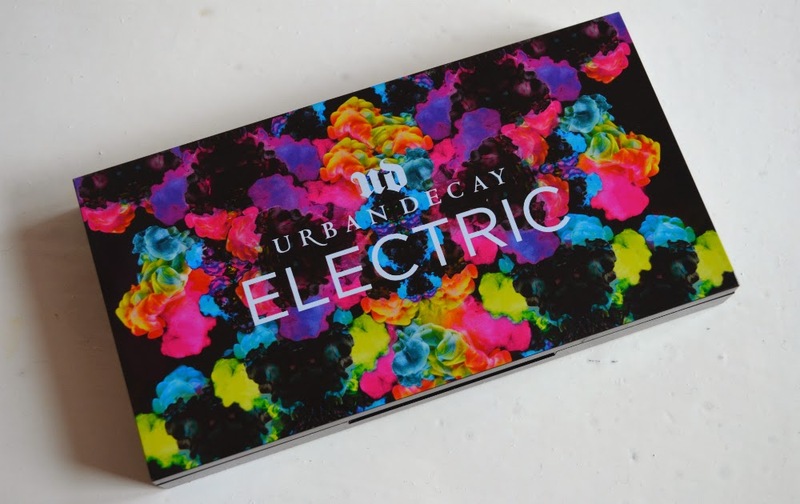 The Electric palette is released on April 1st, costs £38, and can be bought from Debenhams, House of Fraser, Look Fantastic or BeautyBay.com. WOW! What a colour range. I would want to wear them all at once.